On Tuesday, October 6th, 2015, there is a Special School Board Meeting to begin the process of implementing a strategic plan for the Waterford Graded School District. The meeting starts at 6:00 PM in the Evergreen Elementary School – Cafeteria. You can view meeting agenda at the WGSD BoardDocs link. 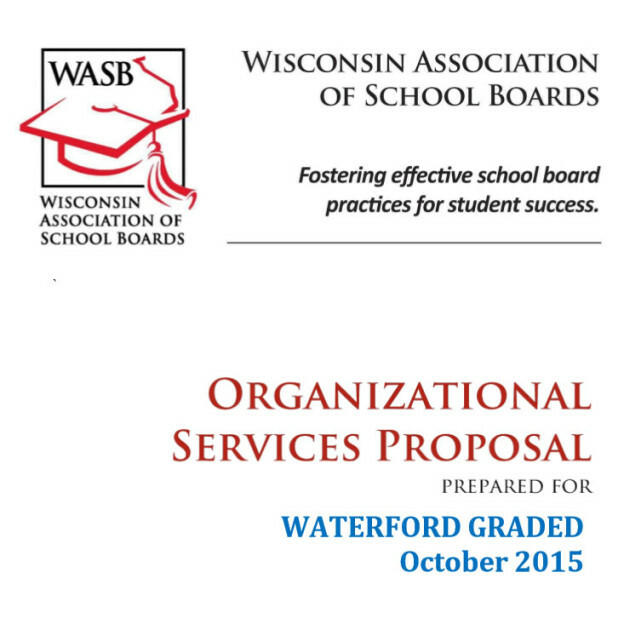 The strategic planning process will be guided by the Wisconsin Association of School Boards (WASB). This is the same organization that successfully guided our district through the school perceptions survey (a survey of building climate and staff morale) as well as the superintendent hiring process. This meeting is the communities first opportunity to hear and learn about the process the WGSD school board will likely adopt. Below are two of the key statements from the proposals introduction. You can also view the full proposal.